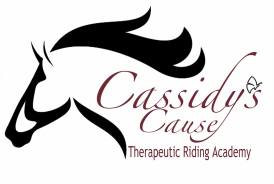 There are many ways in which you can help at Cassidy's Cause! Some of these ways include volunteering your time, donating to a rider, paying a rider's fees and tuition, purchasing items from our wishlist, or offering a sponsorship that will help overall. There is no greater reward than giving. Whether it be through time or donation, your generosity is always greatly appreciated.